Since male and female emperor penguins look pretty much alike, you'll have to watch their behavior in order to determine their gender. If a trip to their native Antarctica is out of your budget or not your idea of a vacation paradise, you'll have to make your observations at a zoo hosting these fascinating birds. 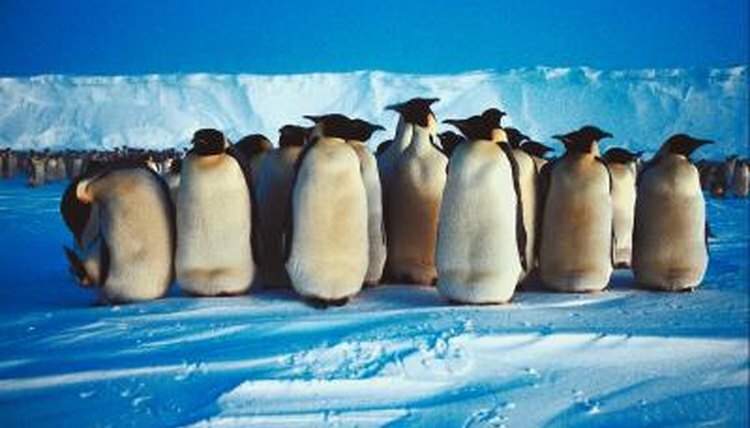 Female emperor penguins outnumber their male counterparts, with the typical breeding colony consisting of 40 percent males and 60 percent females. If you want to guess a penguin's gender, put your money on the ladies. Because of this imbalance, males don't have to work hard to attract females, as is common in other bird species. To attract a mate, he stands still and rests his head on his chest. He breathes in and give a courtship call, then stands still for a few more seconds. While the female lays the egg, it's the male who actually incubates it. After giving the egg to her mate, the female heads off to the colony's foraging area until the hatchling arrives roughly two months later.